Today many are running the Boston Marathon. This is what the race looked like back in 1904. Wishing all the runners out there a great race. Photo courtesy of Running Past, Vintage Photos. 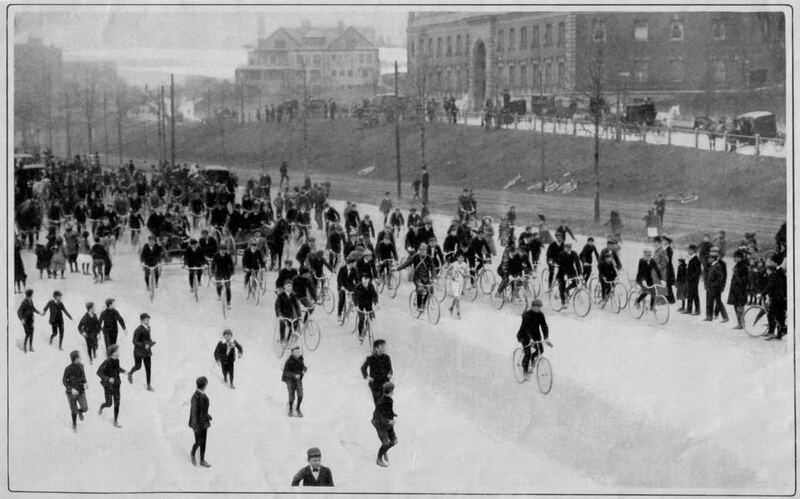 Um, so it used to be a bicycle race in the snow!?? ?